Serck Services, Inc. has over 100,000 square feet of warehouse across North America. 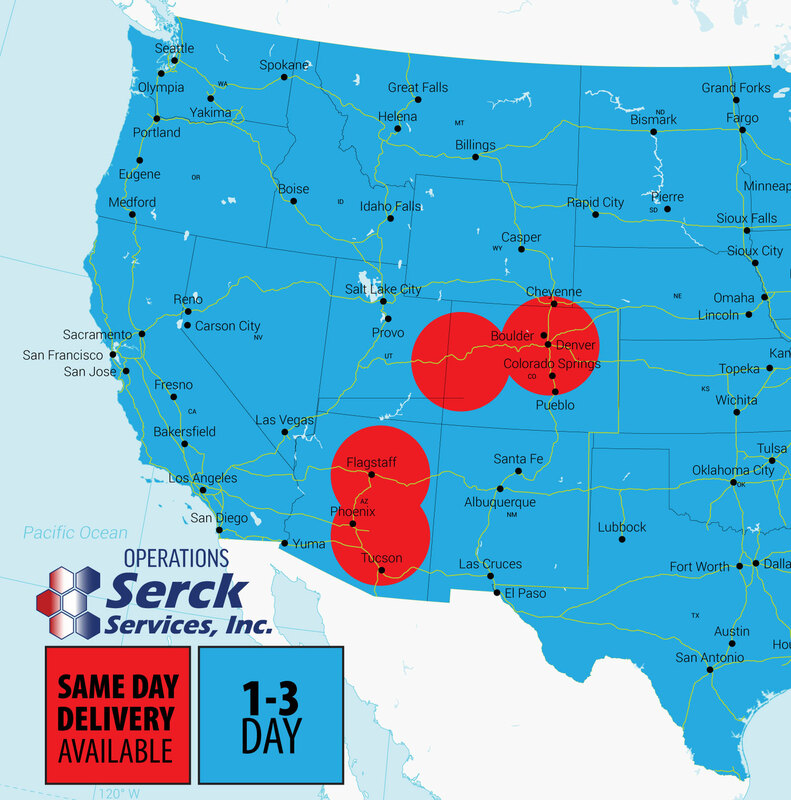 Operations based in Mesa Arizona, Flagstaff Arizona, Grand Junction Colorado, and Denver Colorado allow Serck Services the ability to service customer needs in most cases within 24 hours. Product warehouses located in 3 major distribution centers include: Atlanta Georgia, Mechanicsburg Pennsylvania, and Denver Colorado. These locations were strategically set to provide you with a quick and economical delivery. This footprint allows Serck Services, Inc. to significantly reduce our customers’ downtime. Give your local operations location a call today and find out how they can bring value to your bottom line.